Vancouver, British Columbia--(Newsfile Corp. - April 27, 2018) - Benz Mining Corp. (TSXV: BZ) (OTCQB: BENZF) (the "Company" or "Benz"), announces that it has engaged two consultants to provide investor relations services to the Company. This news release is made in accordance with the requirements of the TSX Venture Exchange Policy 3.4. The Company retained the services of Dig Media Inc. ("Dig Media"), for an investor marketing and advertising campaign through the Investing News Network. Dig Media was retained for a 12-month term that expires on August 9, 2018, and at a total cost of CAD$33,000, plus tax. 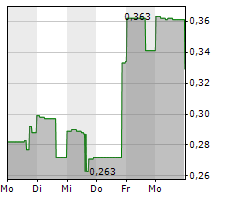 Benz also retained Palisade Global Investments Ltd. for investor relations and strategic advisory services for a 24-month term that expires on May 18, 2019, with compensation at a rate of CAD$9,167 per month. The agreements are subject to the approval of the TSX Venture Exchange. About Benz Mining and the Mel Deposit: Benz Mining is focused on acquiring and developing mineral metal assets in safe jurisdictions and is led by a team of experienced mine developers. In March 2017, the Company entered into a purchase agreement to acquire the Mel zinc-lead-barite project located in southeast Yukon (Company news release dated March 13, 2017).